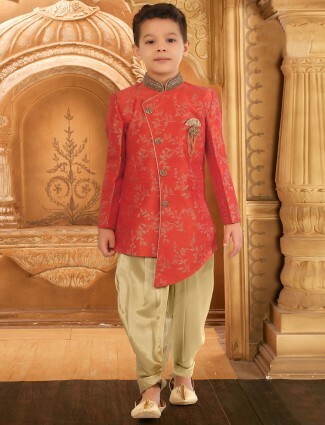 Boys Sherwanis and Boys Indo Westerns are available at G3+ in fabrics like velvets, raw silk, cotton silks, and brocades are more focused on to bring out the eternal beauty of the garment after its creation. 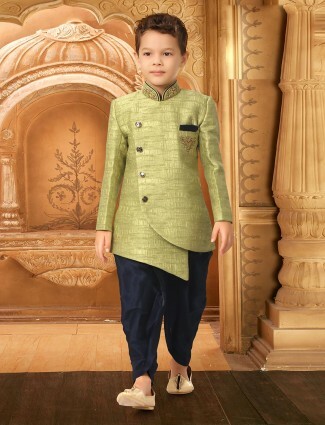 We have many styles of indo-western suiting for theme or code at your functions, shop online with us, enticing the look for traditional wear for boys in wedding indo-western collection, receptions and parties. 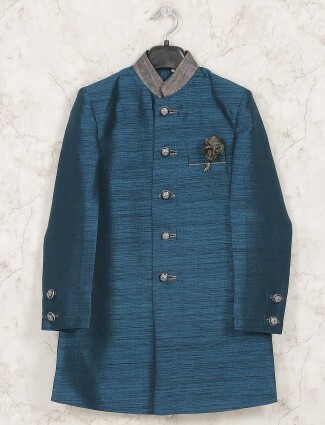 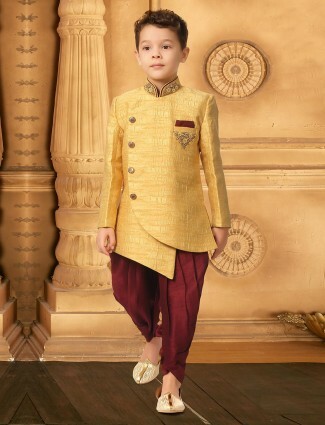 The combining of the modern cuts and techniques of the sherwanis to a new pattern and style is the indo-western which is specially crafted for boys to feel elegant and stunning. 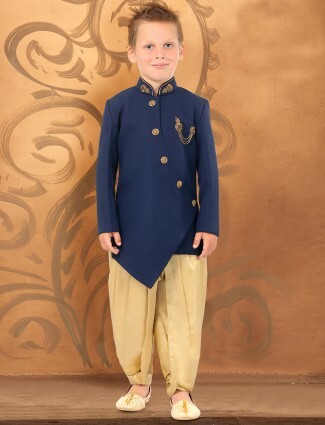 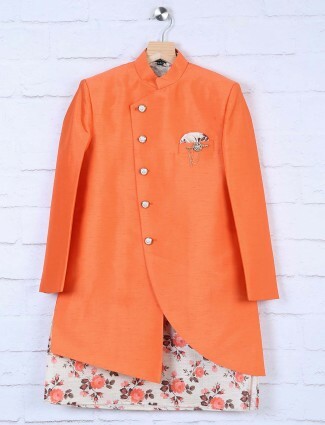 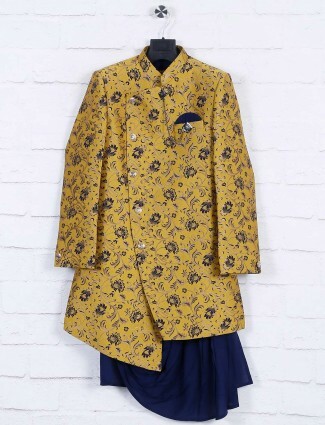 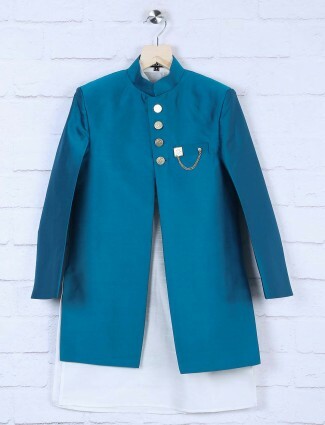 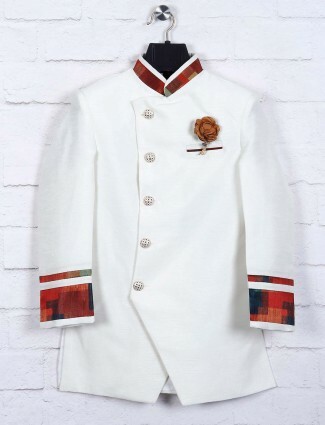 A simple sherwani is modified with modern touch by merging pants style to the top kameez in buttoned-up style or collar flaps, asymmetric seam line, embroidery placements which all play a role in designing a good indo-western for the boys of 1 years to 16 years. 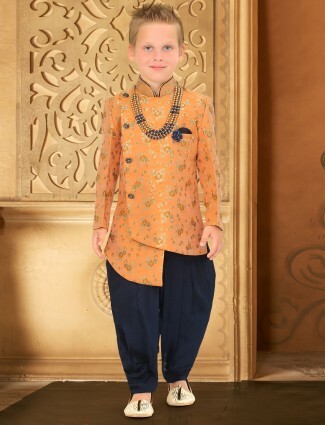 The indo westerns are much more comfortable and stylish when it comes to boys ethnic wear for occasions like weddings and receptions, their craft and concept of designing is based on the merging the traditional theme with new silhouettes with cuts and patterns. 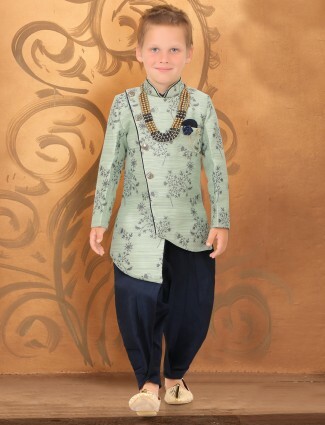 an inspiration from men’s indo western to give the boys a similar look in their age groups. 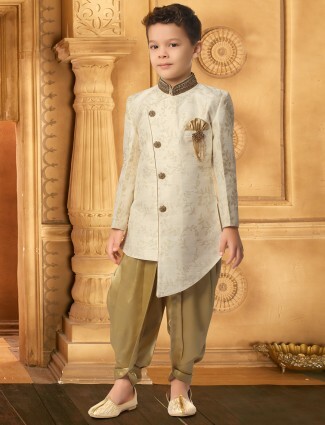 Come and shop for the Black and White sherwani indo western in pretty aesthetic design motif on cuffs on simple solid base on sherwani paired with contrast churidar or pants style bottom. 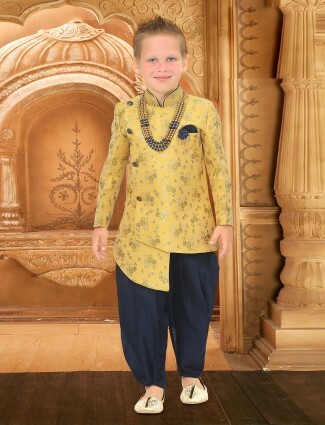 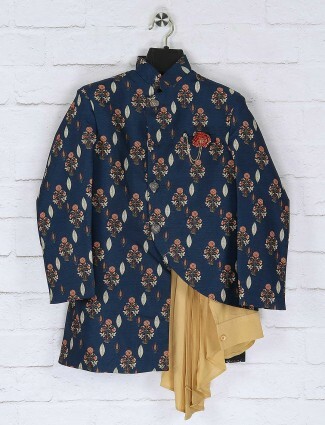 Options in imported fabrics in bright shades with neutrals and contrasts like blue, or vice versa with the bright blues and yellows which are the best colours for boys wardrobe, have their ethnic styles to dazzle as traditional contemporary fashion in Indo western sherwanis. 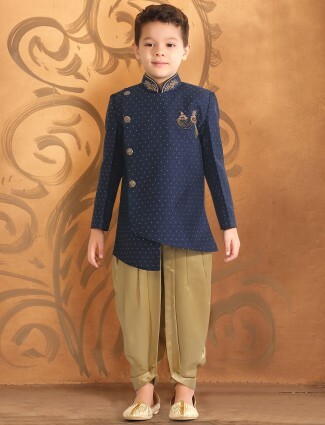 Our of kids sherwani collection brings you the all design in fabrics like line, cotton silk, brocade, jamawar, imported fabric, velvet and other blends to bring the elegant looks. 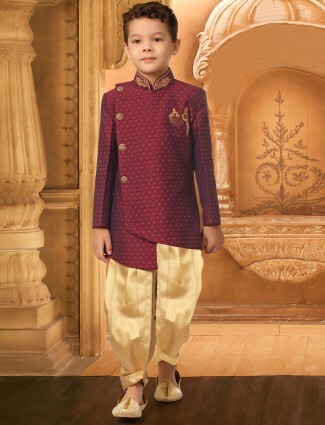 Delights of brocade boys sherwani are found at G3+ Fashion in our exclusive brand for the wedding and receptions which both have different designer pieces. 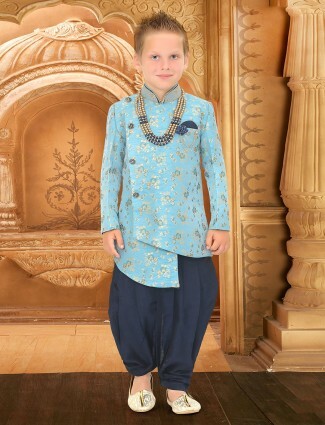 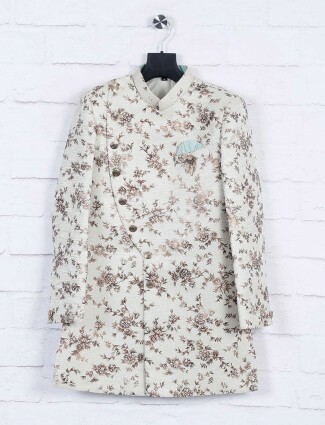 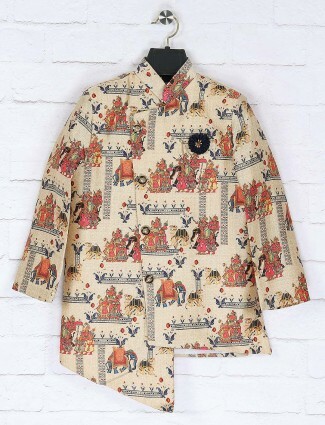 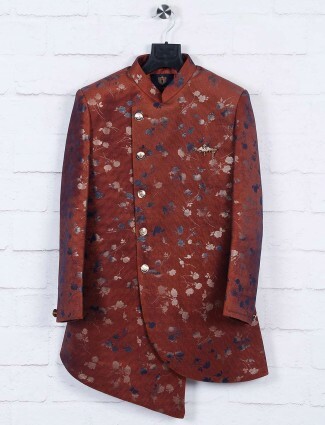 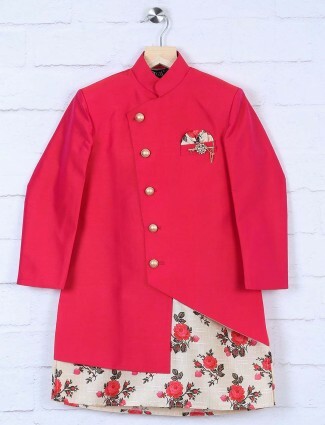 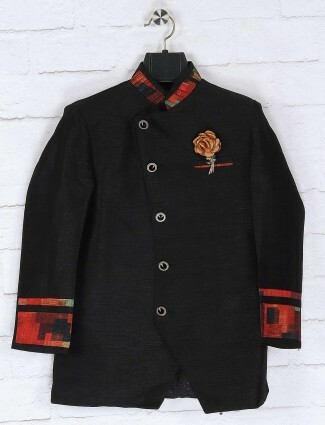 Catch our patterns in embroidery to plains, woven and printed forms, breeches, and jodhpuri as bottom styles and coat styles to sherwani style indo western in collar patterns to wear in boys wear. 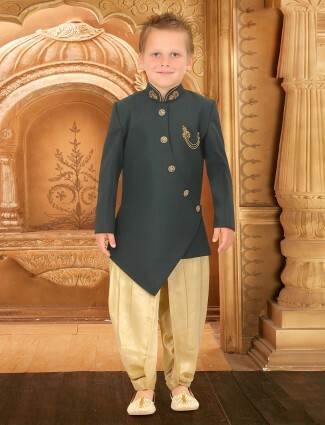 Get the latest kids indo western sherwani collections , for boys at g3fashions.in which serves to all customers in India and other cities in the world like Bath, Leeds, London, Manchester, Brighton, Bradford, Glasgow, Sydney, Melbourne, Perth, Victoria, Queensland, Chicago, Los Angeles, New York, San Francisco, Houston, Dallas, San Diego, Ohio, and other cities, states and countries.